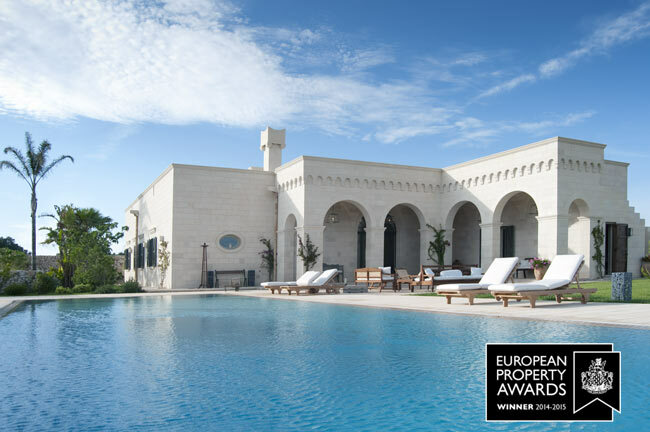 ESSENTIS PROPERTIES won the top five-star award in the best individual property in Italy for Masseria La Spinetta in the European Property Awards. This is the fourth year running Essentis has won the coveted five stars and CEO Francesco Carlucci collected the prize at a glittering ceremony at London’s Marriott Hotel, Grosvenor Square on October 14th, 2014. The house is available for holiday rental but not to buy. However, ESSENTIS can create a similar home for anyone captivated by La Spinetta’s charms.